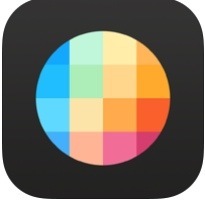 Welcome the newest app from Facebook called Slingshot. Snapchat is estimated to have more than 30 million users and reportedly turned down a $3 billion acquisition offer from Facebook last fall. Facebook later went on to buy WhatsApp, a messaging app that’s especially widespread overseas. I think this is Facebooks answer to being turned down by Snapchat. Facebook has really been wanting to put their own spin on a picture sharing app different than Instagram. So now you have Slingshot. Slingshot is an app available on all platforms and logs in through your Facebook account. Once you download Slingshot and get your account setup, then you are ready to start sharing pictures. With similar apps such as Snapchat or I delete, self destructing picture sharing has become very popular. Slingshot takes a different approach from self destructing pictures by not deleting the pictures you send and receive, instead it requires you to send a picture or video back to the person who sent you a pic before you can see the one they sent you. Hence the name ‘Slingshot’. Slingshot has a lot of the similar photo filters we have seen, along with being able to type a message on top of the picture as well. This app should be monitored closely to make sure you approve of your child’s friends that they are slingshotting photos from. Remember it is an app made by Facebook, so all the social ties will be there with that. Timehop is an app developed by a company of the same name out of New York, NY. The company began the early concept for its app in 2011 and was originally called 4squareand7years. This all began at a a Foursquare event to originally track Foursquare checkins to be able to look at previous checkins. After hard work from the original concept designers and investments from some big names, the company went from the name 4squareand7yearsago to Timehop. I guess to get away from the Foursquare tie in, due to the fact they wanted to touch all your social networking profiles and pictures. They did keep a little of their originated idea in their mascot (the app logo). 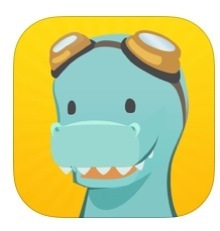 The company’s mascot is a dinosaur named Abe (hopefully you see the Abraham Lincoln tie in with the old company name). Abe is what they call a timeasaur, due to his traveling in time to snag your photos. He will pop up inside the app to give you tips and tell you what to were doing this same time in the past. So enough about the company, what does Timehop actually do? To use Timehop, you will need to create an account. There is also the Facebook Connect option, if you don’t want to go through another sign up process. The app makes use of the native iOS 6 Facebook integration, so the app will auto login to Facebook from your phone settings in IOS if you allow it to. The next step will be to link up your other accounts, like Twitter, Instagram, Flickr, Foursquare, Dropbox, and more. You can also link up your Camera Roll to display photos that you have taken in the past. The app will automatically retrieve the time stamp off the photos in your camera roll saved to the picture, or the date you posted it to your social media account. It also pulls tweets and status updates. It does this to organize in an interface to show you what you posted or photos you took in the past. The years are color coded, so you can clearly see how long ago something was posted. Timehop keeps everything sorted with an easy interface. Everything is clearly labeled so you don’t miss anything from your past. The posts will show what service you originally posted it on, and it can also fetch all the details that you included as well. The app’s year headers also shows what day of the week. Images can be viewed full-screen with just a tap, and any Foursquare checkins can be viewed on a map as well. All of your Twitter and Facebook updates will be displayed and don’t forget your Dropbox, Flikr and other photo storing accounts. Timehop will eventually have all your social media accounts tied in if you wish. Any of your moments can be shared with others with a tap of the share button. You can send it by SMS, email, Facebook, or Twitter. These moments can also be posted inside Timehop itself, so you can share it with any of your friends who are also using the app. This is similar to an Instagram style. There is a notifications screen also where you will be able to access the app settings, where you can modify services, notifications, your profile, invite friends through Facebook, and manage sharing. I would monitor this app as I would any other photo sharing app with the friends you allow to share your child’s photos with. The strengths of this app comes from utilizing your already in use social media accounts and photos from your phone. One thing to remember also is you are giving Timehop access to all your photos on all your devices. The FAQ section says they do not use these for advertisement or marketing purposes, but just remember you are giving them access. This access of course can be turned off at anytime. I see this app staying around for a while she to the amount of money investors are apparently putting into this company. They have obviously trying to find a way to profit from the free app and wants to be your digital photo time capsule, pulling in all your pictures to re live again with friends.